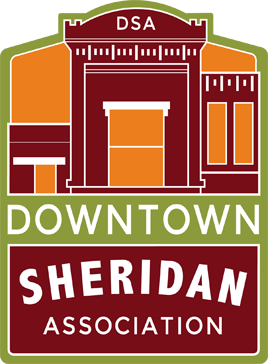 In keeping with the Downtown Sheridan Association’s mission to preserve and enhance historic downtown Sheridan to ensure future prosperity, the DSA Goose Creeks Committee is committed to its own mission of improving the health and vitality of the Goose creeks and adjacent riparian areas that form the centerpiece of the downtown area. The Goose Creeks Committee recognizes that the downtown sections of the Goose Creeks are a part of a greater watershed for which a broader management approach is necessary. The Goose Creeks Committee therefore strives to work as a partner with and encourage partnerships between community, state and federal organizations to improve and maintain the health and vitality of the greater Goose creeks watersheds. It is the goal of the Goose Creeks Committee to play an active and ongoing role in developing initiatives to achieve the stream-specific outcomes set forth in the Downtown Master Plan, the City of Sheridan Parks and Recreation Master Plan and the South Park Concept Master Plan. When the town of Sheridan, Wyoming was founded at the confluence of Big Goose and Little Goose creeks, the two creeks were meandering streams with gravel beds and active floodplains. As Sheridan grew, damage from natural flooding increased, and in 1963 the US Army Corps of Engineers completed a flood control project to protect properties along the creeks, thereby changing the nature of the creeks. While the channel provides flood control, the creeks no longer adequately transport sediment, nor can they self-maintain the riffles, pools and other features that provide fishing habitat and pleasing aesthetics. Increase fisheries habitat components including runs, riffles, glides, feeding lanes, cover, etc. Provide a public gathering place to enhance commerce and recreation, featuring historical signs, decorative lighting, benches, bike racks, and seasonal access.